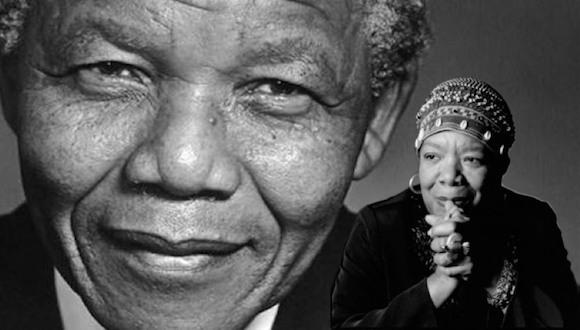 At Nelson Mandela’s funeral, Maya Angelou read a poem written by her for him, this time I would like to post a poem I have written for both of them. I’d like to say that they both were leaders of significant importance and they should be remembered for all their hard work and dedication and the movements they led, tirelessly, they are the role models of their time and I remember them for that. Those Movements of your lives, your lives, your lives, are remembered with the actions, actions, actions of your lives. For those Movements you spent, your lives, your lives, your lives. Movements that you inspired through difficult times, inspiring throughout your lifetime, they went on to span thousands of miles and touched millions of lives, lives, lives. Those Movements, you saw us through, with Peace and Love, hand in hand and broke through barriers of race, colour, hatred, discrimination, war and much, much more. Movements that you led, with everything that you had, and with everything that you said, people you inspired, whilst you never tired. Your lives your lives your lives, for a better World, in service of humanity. In every Movement you were there for every moment, in effort to make the World a better place. Everyone will remember you for all your important moments and will always be inspired by your lives, your lives, your lives, in your every moment, moment, moment, you have only inspired, inspired, inspired our Lives, our Lives, our Lives. Lords’ Pro-Fracking Report published yet Poll shows Fracking not in Favour! 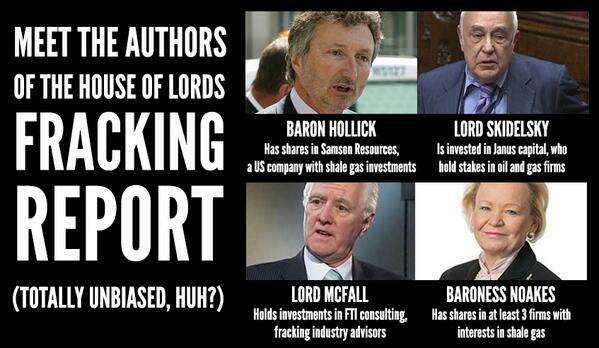 Lord MacGregor was saying recently that Fracking in Britain holds many benefits. Recently a report published by The Lords Economic Affairs Committee, whom one or more of the members on the committee is said to have links to Pro-Fracking corporations, have given their views on drilling for Shale Gas, they have outlined in the report that they back the Government’s decision to go “all out for shale”, however they make a request to do far more to engage the public on the benefits of Fracking in the UK and say it will provide more jobs, and bring about energy security. Although the report may have taken a liking to Fracking in terms of short-term money and making a quick buck, there are many dangers to Fracking and instead of taking a cautious approach, the committee have asked to speed up the implementation for the plans to Frack. If so many people are opposed surely they should be heard and their concerns addressed. 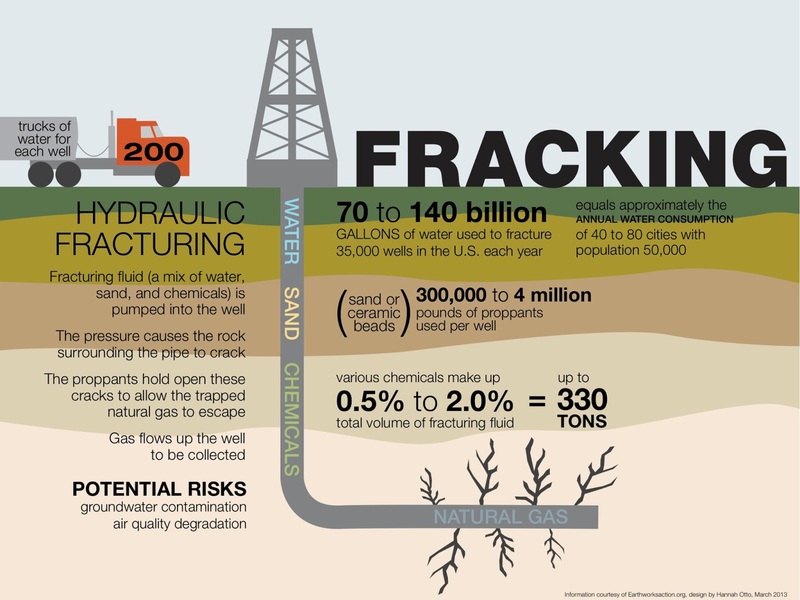 Realistically many would now say that Fracking should not happen, as there are too many dangers involved with the focus on the wrong type of energy (fossil) instead of on green and clean renewable energy. 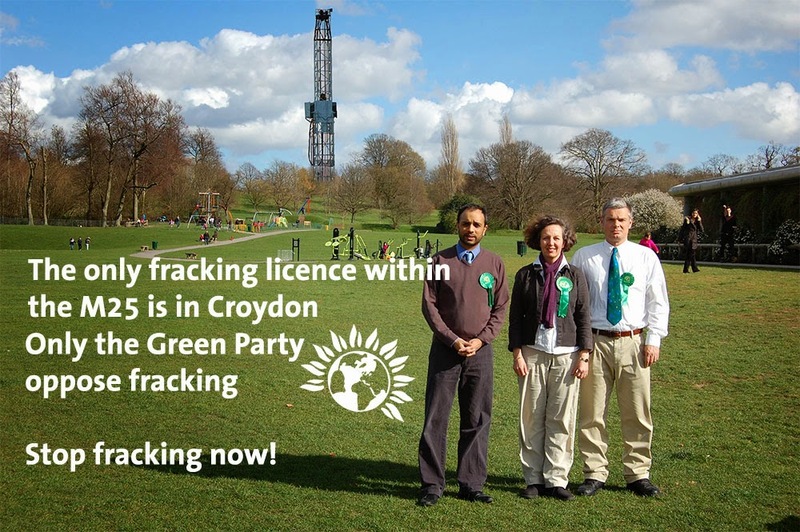 The Green Party Leader of Croydon Shasha Khan said upon being questioned by Raj News that “The Government should seize the opportunity to embrace energy reduction with renewables not Fracking. The report mentioned the EU’s reliance on Russia for Gas and how Fracking would stop this reliance. They do not however mention the EU’s fine to the UK for not meeting its Air Quality/Pollution requirements, there is a pending case against the UK by the EU, which could see the UK picking up bills worth millions for not doing enough to reduce the pollution and cleaning up the air. The UK could see these fines dropped if the Government acts now and can show there is an improvement, in air quality. With car traffic jams in areas and things like incinerators, unnecessarily burning waste when it could be recycled, where is the encouragement to the public on these issues. The Green party have been doing their bit in Croydon, opposing an Incinerator in Beddington Lane by putting in a judicial review, against Mayor Boris Johnson’s plan to have an incinerator in Beddington Lane which would serve Croydon, Sutton, Merton and Kingston, although there is danger of toxic fumes carrying downwind, unfairly building up, to pollute areas, which do not want to be harmed, by these dangerous fumes. With all these prominent dangers at the forefront, the Government still want to dangerously fracture the earth in an effort to unlock Shale gas, the dangers of this are creating toxic drinking water as Shasha Khan mentions and instead of trying to promote renewable energy, the Government wants to continue focusing on fossil fuels at the cost of damaging the UK – Fracking has been linked to Earthquakes. When it comes to regulation of Fracking the Lord’s have said that regulation should be streamlined, such as in cases where a company may want to drill under people’s houses they can do so without needing a license. The Lords’ report seems to promote fracking and Lord MacGregor said on a radio interview with the BBC that Fracking will provide the public with lower fuel bills, he also mentions the US taking up Fracking. The radio host points out that “in the USA there are vasts amounts of unpopulated land, whereas in the UK you’re looking to do Fracking in relatively populated areas.” Lord MacGregor says that they’ve looked at this problem and any effects to the environment, yet this is a cherry picked report which gives us a selected amount of information that is Pro-Fracking. Chief scientist Dr Doug Parr of Green Peace UK says of the report: “On one page the Lords are saying public concerns should be taken seriously, on the other they urge the government to strip people of their right to say no to Fracking firms planning to drill under their homes – a move opposed by three-quarters of British people.” They also backed moves by the Government to change trespass laws so that shale companies could drill under people’s property without their permission to ensure development could go ahead “without undue delay or cost”. 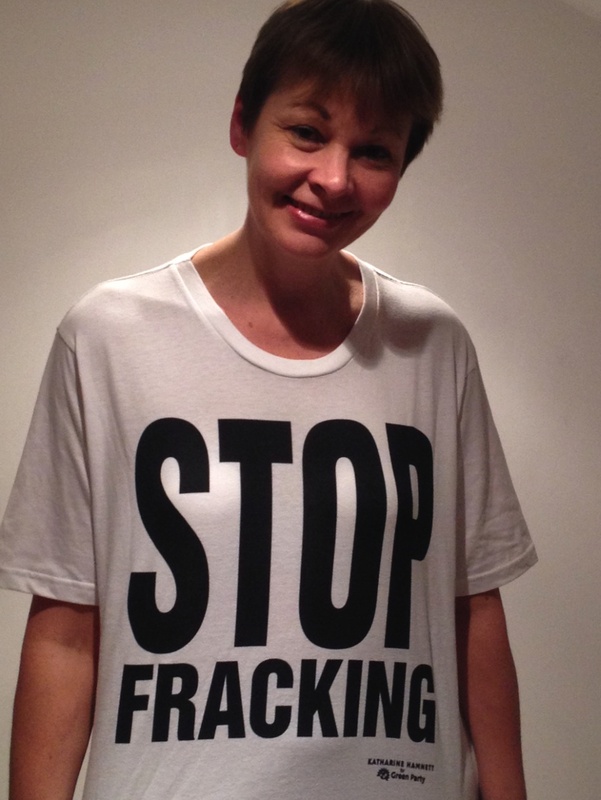 Caroline Lucas of the Green Party also featured in the interview, she made it clear that Fracking is not a solution to anything and pointed out surely the UK are not going to go ahead with this. She mentioned that there are far more jobs in renewable energy compared to that of Fossil fuels. She spoke of having a cap on fossil fuel emissions, and how drilling for shale gas can cause levels in methane to increase which is dangerous, especially as the numbers on methane gas is highly underestimated. I would stress that this is a swipe by the Government to make some quick money, rather than educate the public on this issue and listen to the people who are, now, in a poll, overall against Fracking, in the UK. Dr Parr criticised the report, warning Fracking was a “non-solution” that would not deliver for many years, if at all. Caroline Lucas points out that Fracking would lock us into the fossil fuel industry rather than working towards a positive renewable clean energy industry. The Dr and Caroline Lucas and Shasha Khan echoed each other when they spoke of the real urgent national priority, which is to push ahead with the renewable technology and efficiency measures. Although the BBC did not mention in an article about Fracking that the Green Party (whom of late have not even had much media coverage by the BBC in the elections) whose Leader Natalie Bennet is a keen campaigner against Fracking alongside Caroline Lucas who was arrested for protesting against Fracking, after having real concerns about the UK issue of Fracking and alongside Green Peace, WWF, and Friends of the Earth’s concerns – who also did not get much coverage either. “Hydraulic fracturing of shale to extract gas involves pumping water, sand and chemicals are injected into the rock at high pressure to allow the gas to flow out to the head of the well. There is a worry that chemicals used in Fracking may escape and contaminate groundwater around the Fracking site. 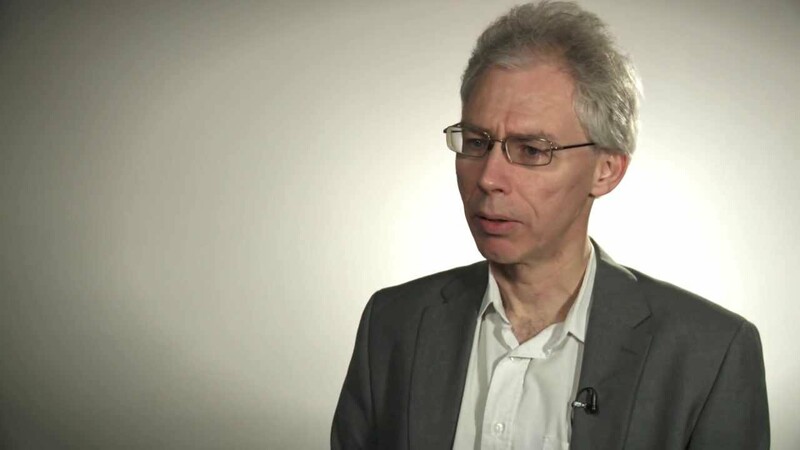 Nick Molho, Head of Climate and Energy Policy at WWF-UK said: “The Lords seemed to have overlooked the many serious analysts who have said that shale gas in the UK is unlikely to have much impact on either gas prices or the UK’s rising exposure to gas imports. “If we are genuinely going to reduce the UK’s vulnerability to future fossil fuel price shocks, the main priority must be to reduce our dependence on fossil fuels in the first place. There is a danger in going after shale gas, which is still unknown about in terms of quantity, quality and is most likely under the ground in different layers, making it difficult to access; whereas in the USA there is land which is flat and plenty in unpopulated areas, making the gas easier to extract, the same cannot be said for the UK with its populated areas and complex land structure and layers of the earth. Fracking has added to the climate change debate, and Fracking will only damage the climate, which Fracking can have serious implications on, nevertheless it has become a part of the debate on climate change as it can cause a huge set back to the climate through air quality, natural disasters, water contamination and earthquakes; there should be a focus on renewable energy rather than using less dirtier fossil fuel (Shale gas compared to Coal), which looks set to harm the UK, residents, and environment just as much, if money was spent on Green renewable energy, this would pay off in the longterm. There are so many alternatives yet Fracking is what the Government want to pursue. There are many out there protesting against Fracking to put a stop on it before it starts, make sure your concerns are heard write to the politicians and tell them to stop their plans as not many of the members of the public agree with Fracking and it is dangerous and also we cannot afford to miss the opportunity to work now on the future with renewable energy, which is clean, green, job making, and recyclable, renewable, and the future. Green Party VIDEO – Vote GREEN GREEN GREEN! 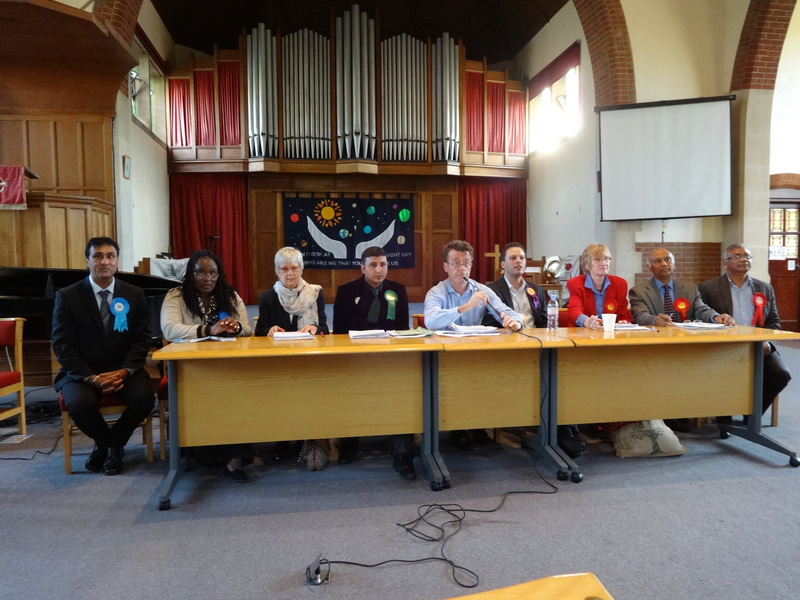 On 14th May, Wednesday evening, I attended a Hustings organised by the local Residents of Norbury Association alongside other members from political parties, other than the Green Party. The Panel on which I was seated with these other party members were asked questions by local residents after our introductory opening speeches. Hello! 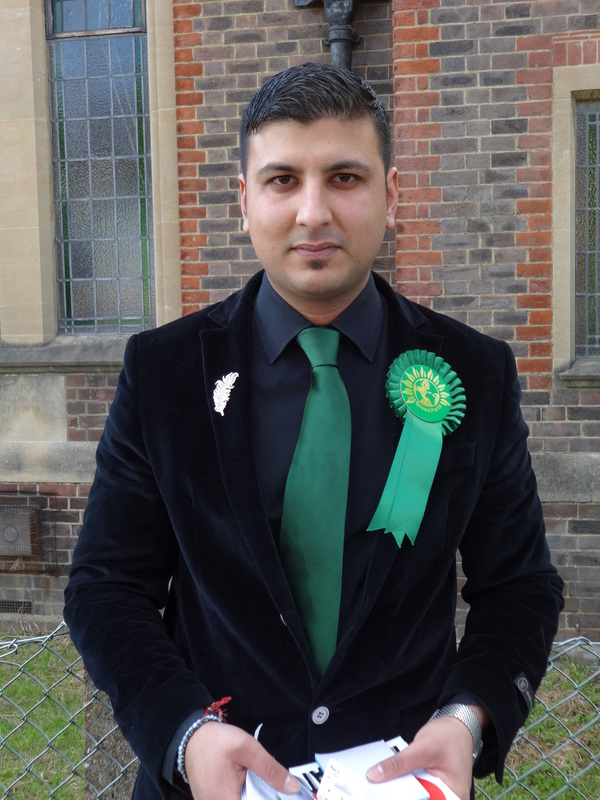 My Name is Raj Mehta, I am a new member of the Green Party, I am 28 years old and have lived in Croydon all my life and in Norbury for the last 20 years. I am a graduate with a degree in Communications and feel with my skills working as a Journalist and using my interpersonal skill, that I will be able to utilise my experience to help bring about a process that works locally, Norbury, Croydon, and on towards Central governance. I have a strong belief that you should take care of your environment, social care and education and I think this should begin from your own area and as a ripple effect it can be extended to the rest of the country and even the world. I also feel that in taking care of the environment and ensuring equal opportunities to all we will be able to bridge the gap between the less advantage, this assists in lowering crimes like the London looting, lift morals and would help the public to get the feel good factor and would prompt them to get a feel for a better lifestyle, which would lead them to attain employment and afford housing with revenue, as more people who are in employment means more spending power within our area. I am here because I want to assist to improve our lives and environment and bring about a voice to issues like Fracking in Croydon, also the incinerator being built in Beddington lane, as this will affect us all, with its impacts from the toxic fumes, causing air pollution. 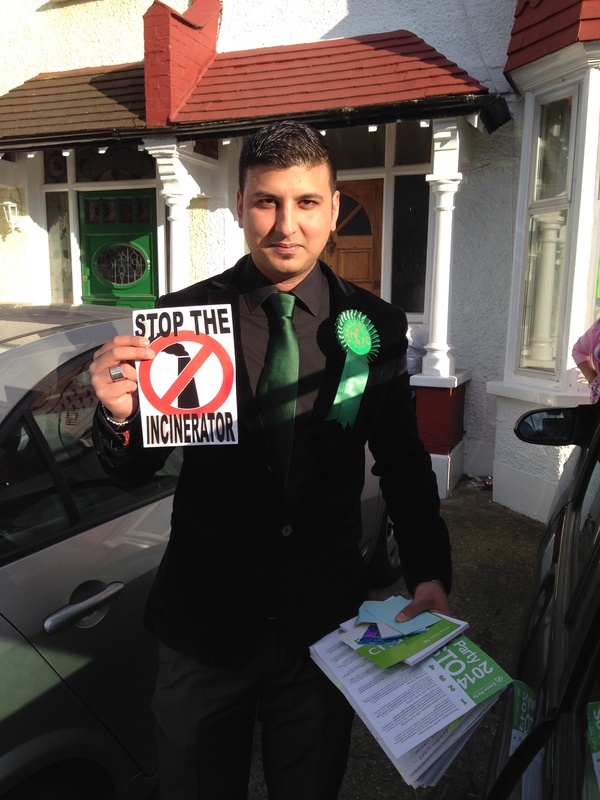 The Green Party is actively seeking a judicial review in regards to the incinerator, this has already been submitted. 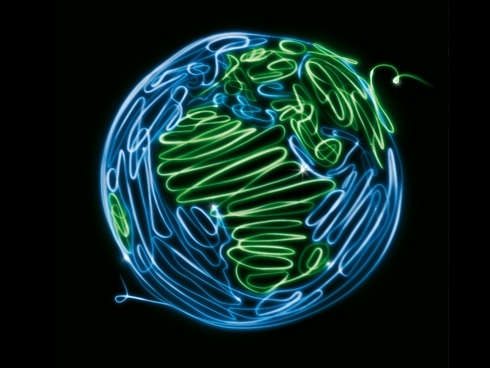 We believe there is a better alternative, and that is to recycle as much as possible. For instance places like San Francisco recycles 80% of its waste we can also avoid more pollution and unnecessary wastage by working towards a recycle rate that is close to 80% like in San Francisco. These important topics that are at the top of the Green Party Agenda, they are important to the future of our local area and will ensure that the future generations will benefit from them. Croydon Green Party has 70 candidates standing across the borough – a full slate, including three candidates in Norbury. My fellow candidates in our ward are Doug Arrowsmith and Marie Norfield. Marie would normally be doing the Norbury hustings but for her own reasons she has not able to this time. I would work to do the same, make Norbury Greener, oppose cuts, support the environment, with a push for safer cycling and recycling. Leader of the Green Party Natalie Bennet said in a speech We are not concerned with individual behaviour, we are in the Green Party to work on POLITICS, SOCIETY, AND ECONOMY, and bring about a change on these key matters, again I am working to do the same for Norbury. 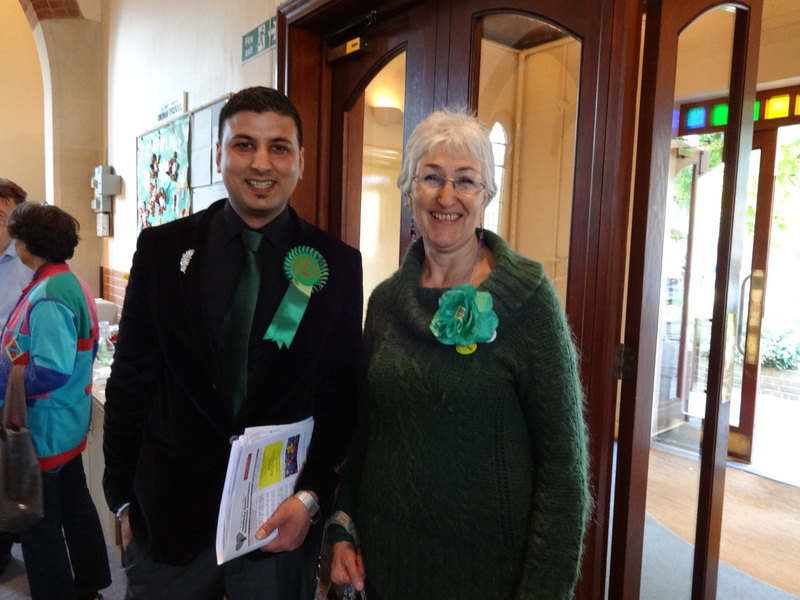 I do hope you will join the Green Party and its causes and help us to build a better Croydon and also have a say in the way our area and our country is governed. This is your chance to make a difference to your local community and for the future generation by supporting The Green Parties pledge, and you can do this by supporting me and my colleagues. Please vote for me to be your local councillor and I assure you I and the Green Party will do all we can to represent you to the fullest. 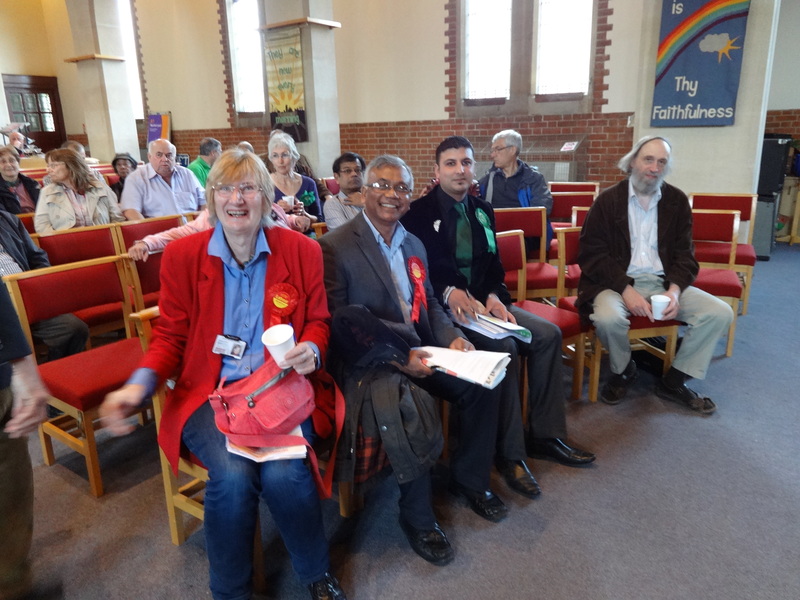 Much thanks, to Irene and Barry of the Green Party for showing their support and Shasha Khan too. There were many issues addressed by myself in answering questions to the local residents of Norbury. This manifesto reflects our ten priorities for the people of Croydon. We’ve listened to you and believe that these policies address the real concerns of Norbury and Croydon. by offering incentives to residents, and making it easier and cheaper for businesses, charities, schools and places of worship to recycle. Croydon’s parks and woods are for relaxation. Only the Green Party will oppose all exploration for gas and oil in our green spaces and under our homes. Hydraulic fracturing will contaminate ground water, increase the risk of earth tremors and industrialise our green spaces. Croydon Council, police, residents, and community groups such as charities and places of worship need to work together to combat knife crime. Young people need alternatives to gang culture: youth clubs, martial arts, music, sport offer positive activities for self-development and enhancing job prospects. include a suitable mix of reasonably priced accommodation. Tenants in privately rented housing should be protected from excessive rent levels. 40%.We will also retain lollipop persons at strategic crossings in order to encourage walking to school. safe cycle lanes, cycle friendly streets and routes through parks to help to reduce pollution, improve health and provide a faster way to travel. scrapping the collection charge for heavy items including mattresses, and the prosecution of offenders. We support the London Living Wage campaign and call on local employers including Croydon Council and their contractors to implement the London Living Wage for all employees. 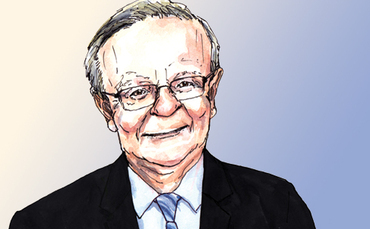 In addition, Croydon Council should establish a 10:1 maximum pay ratio for council employees. Better planning is needed to avoid flooding and deal with it if necessary. The Council must ensure developers prioritise flood resilience and prevention in new buildings, and include Climate Change adaptations in existing buildings. Local planning rules need strengthening to raise energy efficiency. We support high-quality public services run for people not profit. We will maintain the Council Tax in line with inflation to protect services such as libraries and social care, and encourage arts events. We will also involve residents in decision making e.g. through public meetings and social media.